The antenna based on a wideband symmetrical sub-resonant element and passive symmetric to asymmetric transformer (balun transformer). 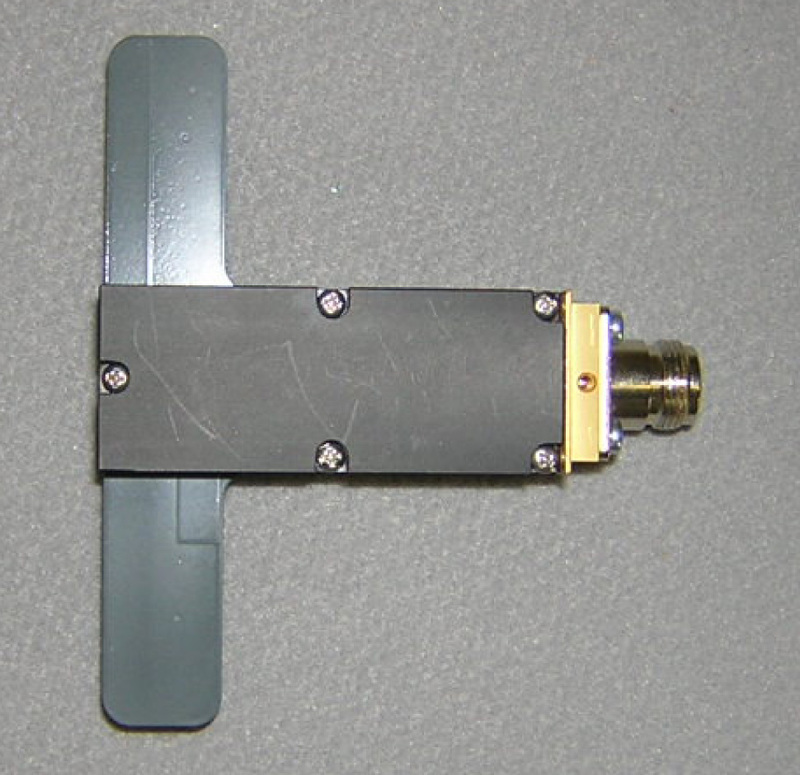 The antenna can be used in passive mode feeding trough the built in balun transformer. In active mode a low-noise, high-dynamic range receiver preamplifier can be built in to the antenna.